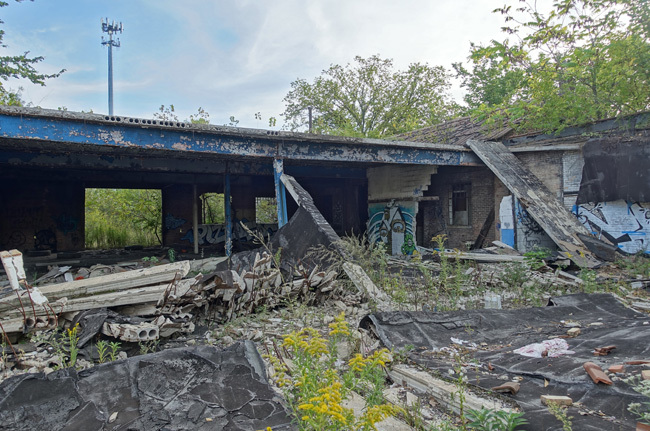 The abandoned Wyman-Gordon power plant towers above an overgrown industrial lot in Dixmoor, Illinois, the sole remaining structure of a century-old steel foundry. 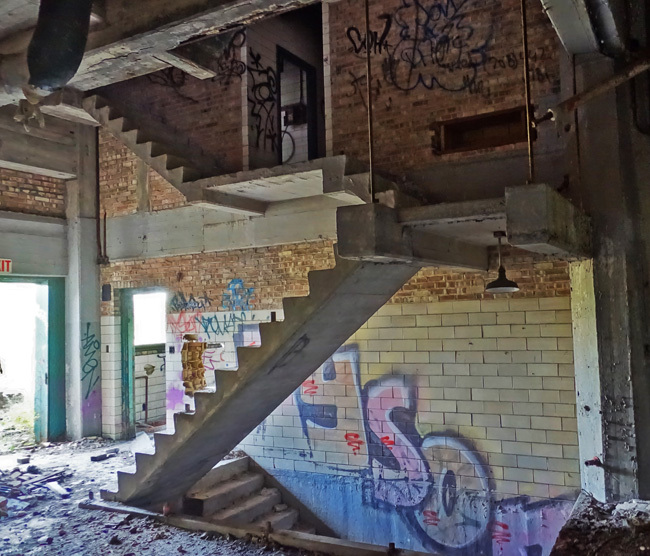 I'd just gotten a rare opportunity to explore the majestic Abandoned Prison of Joliet, Illinois (click here to check out the article, if you haven't already). Truly an incredible place. 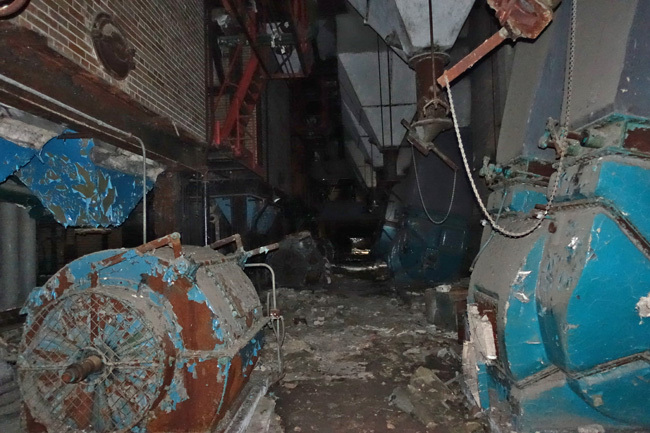 I wasn't sure anything could top that experience, except maybe an abandoned power plant. The Village of Dixmoor and the neighboring City of Harvey are suburbs south of Chicago. 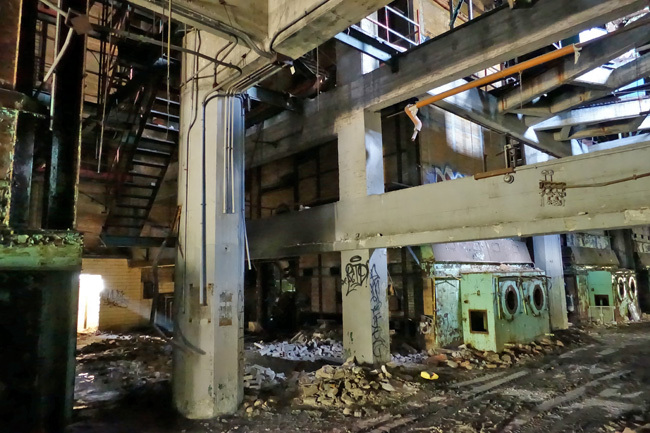 Once major industrial centers, they suffered serious economic decline toward the end of the 20th Century. 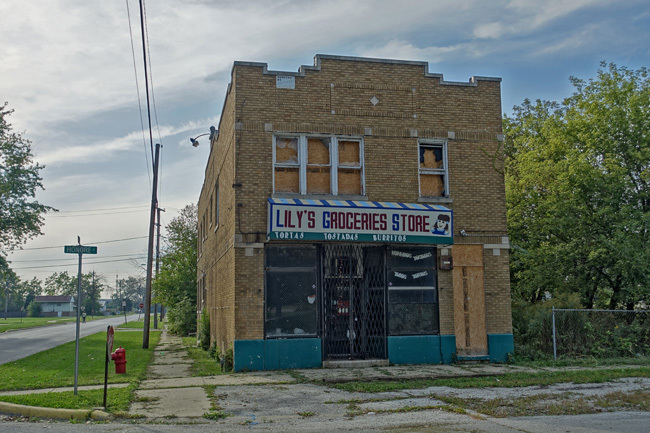 Lily's Groceries Store stands abandoned and boarded up on a lonely street corner across from the old steel mill site. 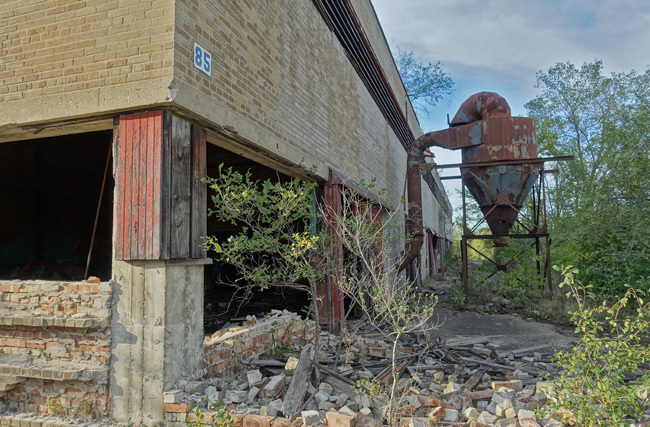 Nature has returned to the grounds of the old factory in full force. Trees and shrubs grow so dense that it is difficult to pass through. 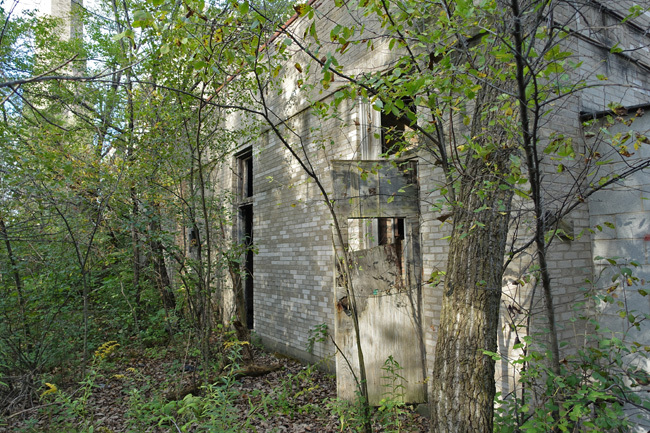 Most of the buildings on the property have been demolished. The few that remain are in very rough shape. 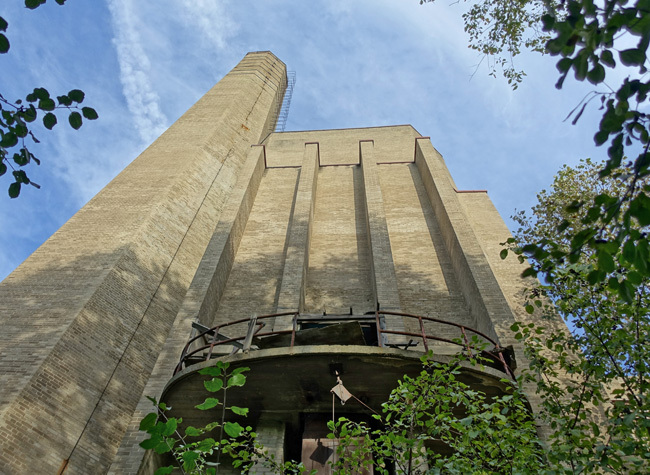 The power plant is the only major structure that still stands. Scrappers and vandals have done quite a bit of damage over the years. There is also evidence that fires have been lit inside. 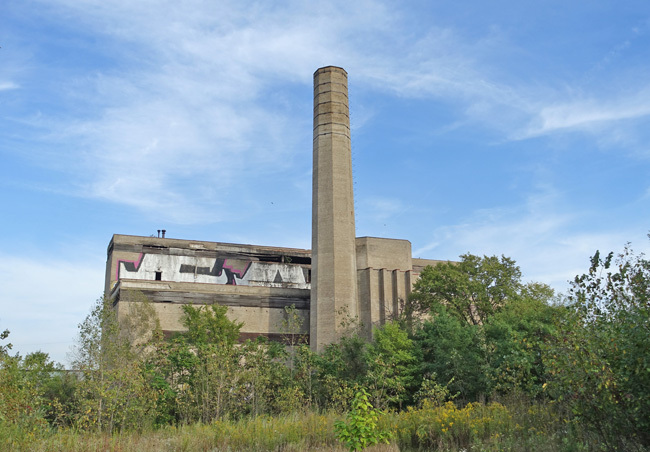 In 1910, when Dixmoor was still known as Specialville, the Ingalls-Shepard Forging Company built a steel mill so large that it required its own coal-fueled power plant. Like others in the region, the factory produced heavy steel parts for railroad companies and the growing auto industry. In 1920, the Wyman-Gordon Company of Worcester, Massachusetts acquired the plant. During and after World War I, Wyman-Gordon Company produced parts for military and commercial aircraft. World War II proved an extremely profitable time. The company claims that it produced more military airplane components than all of its competitors combined. As technology progressed, Wyman-Gordon began forging titanium alloy jet engine parts, which were used in the Korean and Vietnam Wars. The 1980s saw a decline in business for Wyman-Gordon due to decreased demand for commercial airline components and military budget cuts after the end of the Cold War. 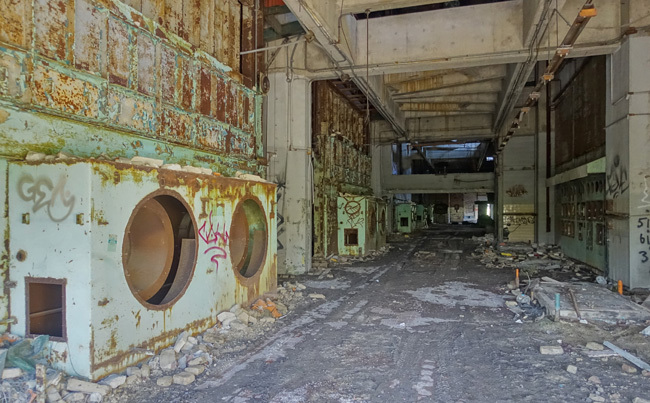 Following an unsuccessful attempt to sell the plant, Wyman-Gordon closed the Ingalls-Shepard Division in 1986 and 350 people lost their jobs. 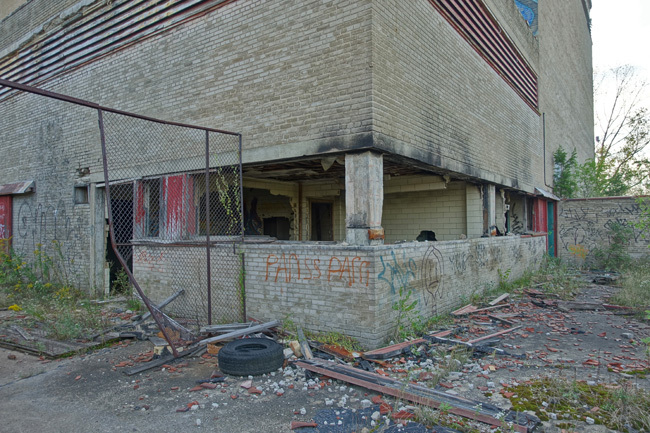 It was a devastating blow to Dixmoor and the neighboring city of Harvey, which had recently suffered the closing of its Arco and Allis-Chalmers plants. 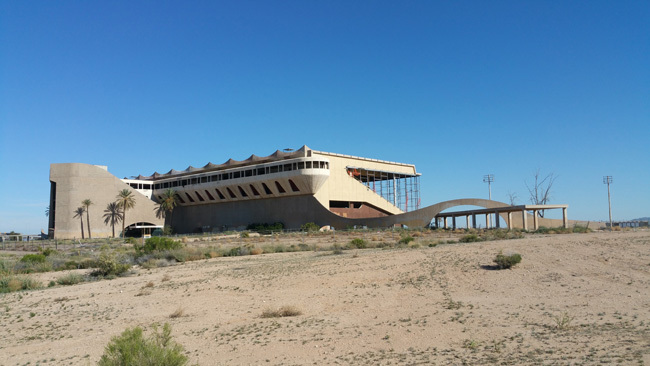 The Dixie Square Mall, also located in Harvey, had closed several years earlier and sat abandoned until 2012, when it was finally demolished. 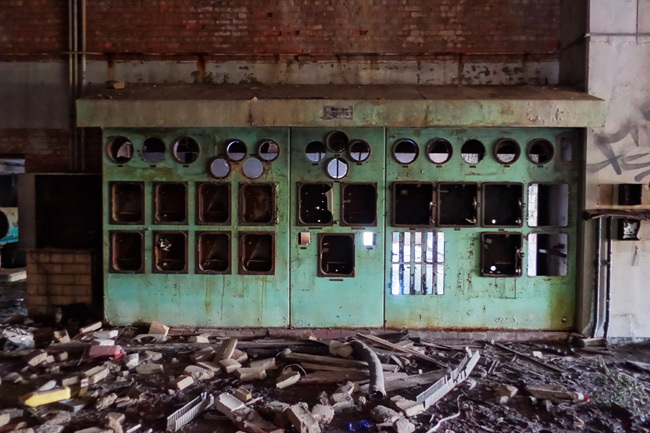 A machine shop now operates out of one of Wyman-Gordon's old buildings. Most of the others were razed. 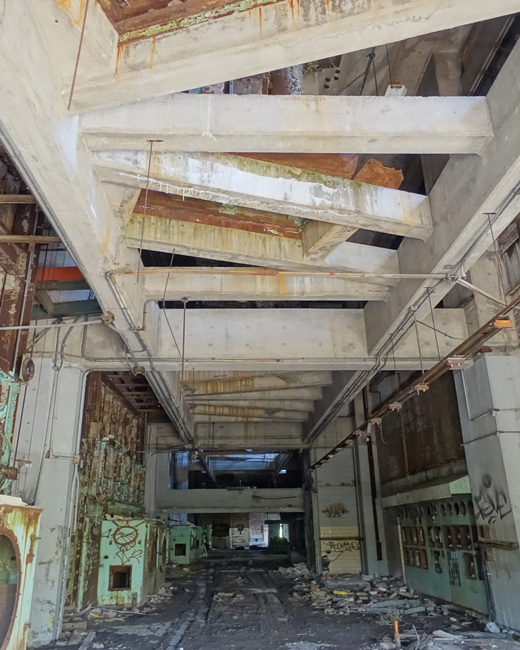 I'm not sure why the power plant was spared from demolition. 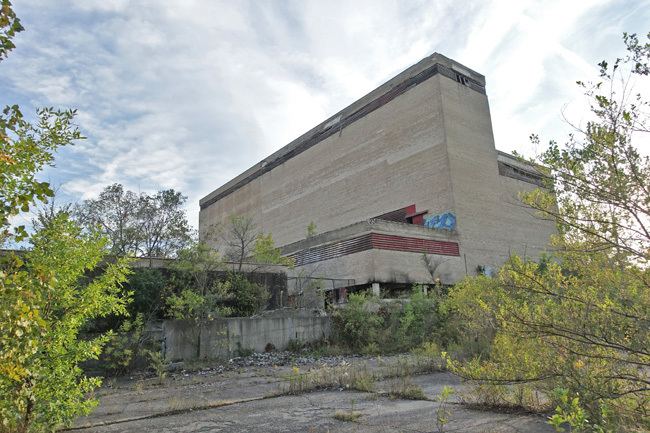 It seems unlikely that the site will be redeveloped any time in the near future. 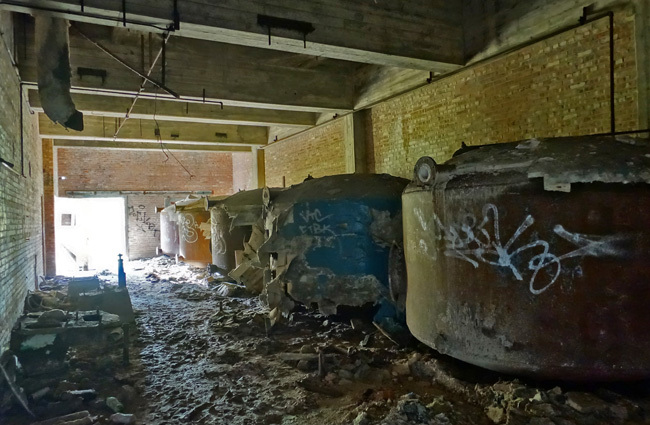 The soil would need to be cleared of the industrial contaminants that have accumulated over the years. From Dixmoor, I continued east to Gary, Indiana to see the breathtaking ruins of City Methodist Church. I'll tell you all about it next time. Sorry, I've been falling behind due to the demands of my day job. Thank you for the encouragement! It keeps me going :) Hopefully I'll get back to posting more frequently again soon. A day job that lets you travel and explore historic places at the same time? How do I get a job like this? Haha! I wish I could find a job like that too! I haven't been able to do much exploring lately. I took this trip when I was between jobs. Is the power plant still up? It's there. The area around it is pretty sketchy. My friend and I tried to go yesterday but couldn't find a place where we felt comfortable leaving my car. It's really that bad of an area that you drove there but didn't go in? Dang, I was gonna go being about 45 min from me. 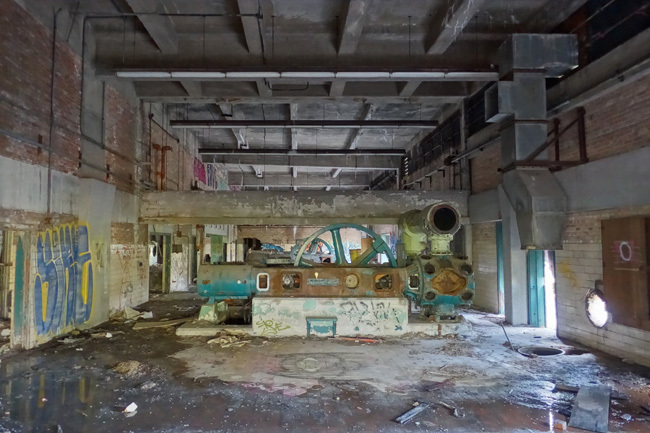 I've been totally binge reading through various abandoned building articles on your blog, today! I'm sure I'll finish through reading all the remaining articles I haven't, in a matter of time. This is really great, love your writing, pics, and articles. 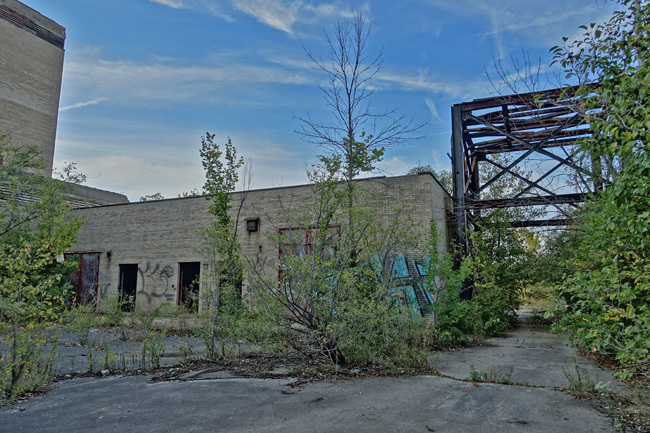 I took a look at this site via satellite images on Google Maps, and this plant must've had more buildings surrounding it at one time. Weird so many seem to have been demolished, except the power plant building and one building across the street(east side of street), that for all I know may've been part of Wyman-Gordon. 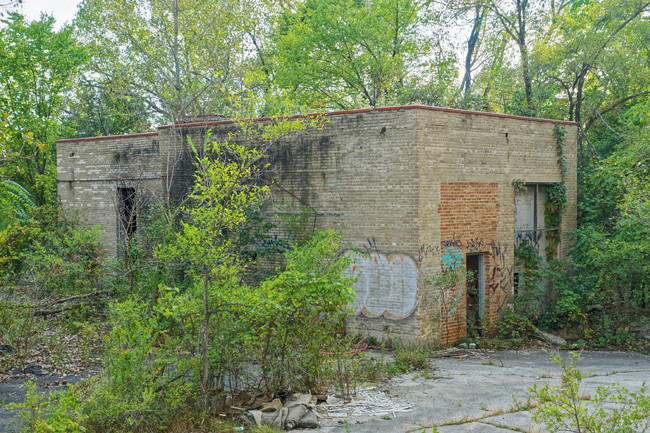 I guess that's the building you were referring to, that's allegedly still active for some use? Cheers, and keep up your blog entries! The first time I saw the satellite view of Wyman-Gordon I was a little disappointed to learn that there were so many other buildings that might have been awesome to explore if they were still around. I'm glad I got to see the power plant though. It's a unique and fascinating place. I worked here from 1973 til 1985 just prior to its closing. We always called the "power plant" the steam plant. 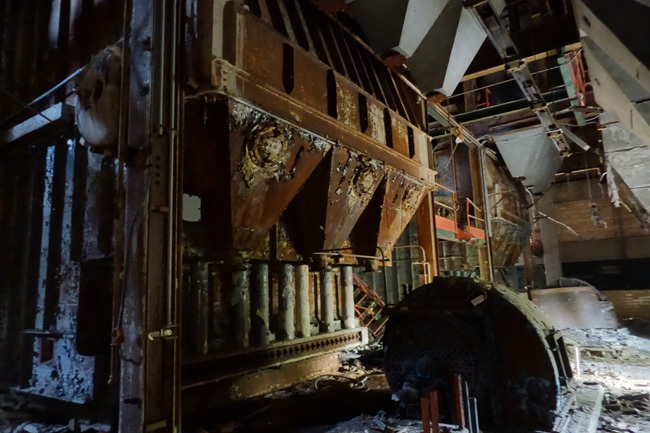 Steam was used to power the huge "hammers" that forged various parts. Some forgings were huge and weighed a ton or more. You could feel the ground heave for blocks. 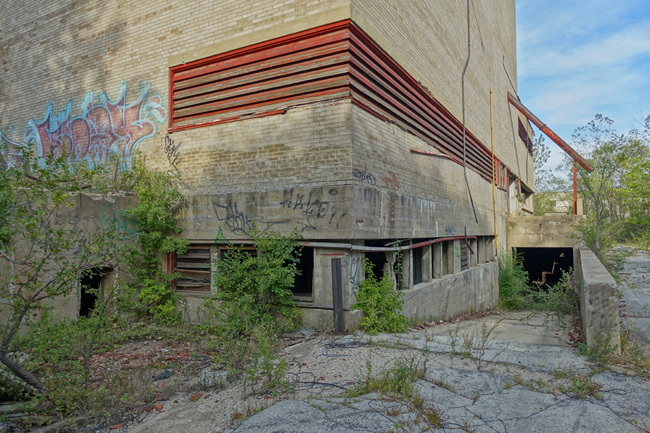 The steam plant and the building directly across Wood st are both located in Dixmoor I believe whilst the rest of the site was in Harvey, the demolished portion. Harvey perhaps received grants that Dixmoor did not? The pictured grocery store "Lily's" was Stanley's when I first knew it in the 60's. It was owned by Stanley (surprise) and his lovely wife Grace. Wish I had photos from the inside. I grew up near a forge and remember how the impact of the hammers reverberated. It always fascinated me as a kid. I didn't realize that Wyman-Gordon spanned Dixmoor and Harvey. It makes sense that it could be why some buildings were demolished and others were not. Thanks for the insight! I would've loved to get a peek inside the old grocery store. That was my dads store.